At Diverse Staffing, we treat every client and every associate as the individual they are. Nothing we do is standard, which means that the Diverse Staffing process is tailored and customized to fit your specific staffing needs. Because every company is looking for something different in their employees and offers a unique culture and environment to work in, we believe that the hiring process should also be unique to you, which is why we partner with you to make the right choices. 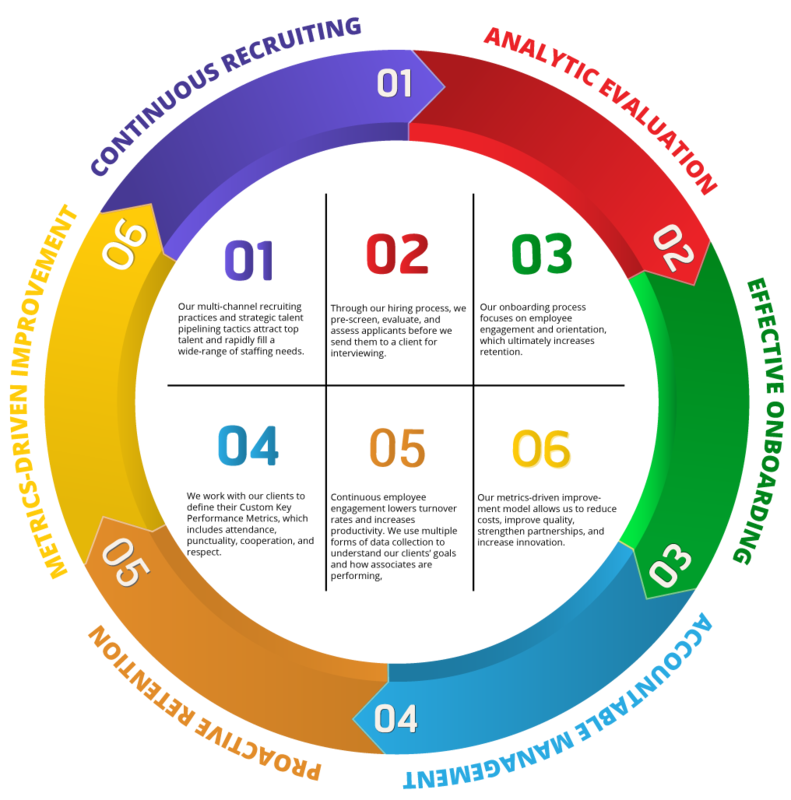 Our unique and tailored process allows us to more effectively and continuously target, engage, and qualify top talent to fill our talent pool that we use to help you carry out your plans and manage your processes. The staffing processes at Diverse Staffing are all about individuality. Because every associate and every company we work with is unique, we make sure our processes are tailored to their needs, goals, and requirements.